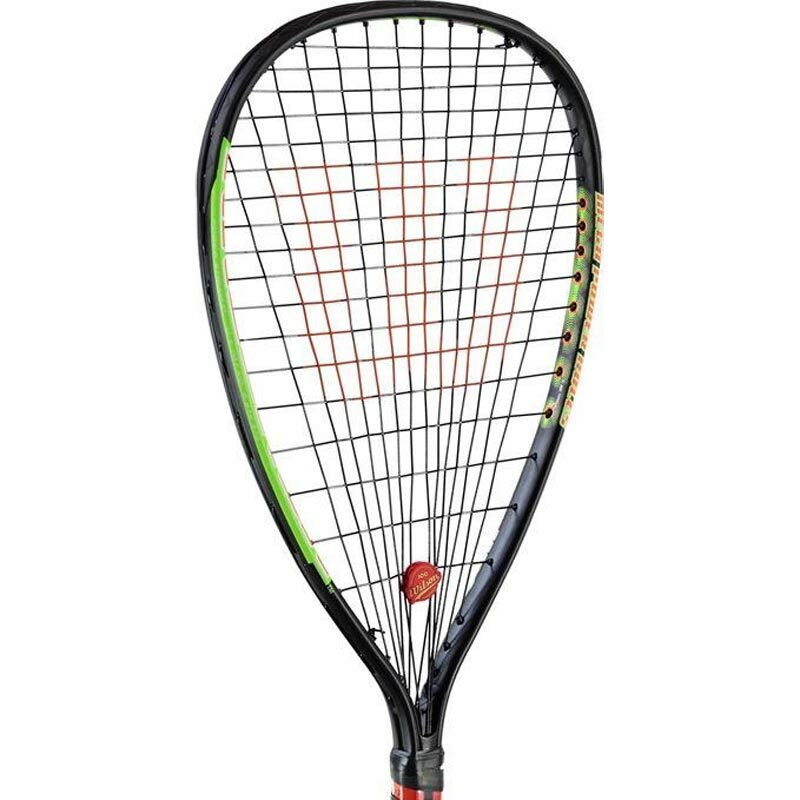 The Wilson ® Krusher Racquetball Racquet features a killer combination of power strings and mega power holes technology for increased ball speed on every shot. 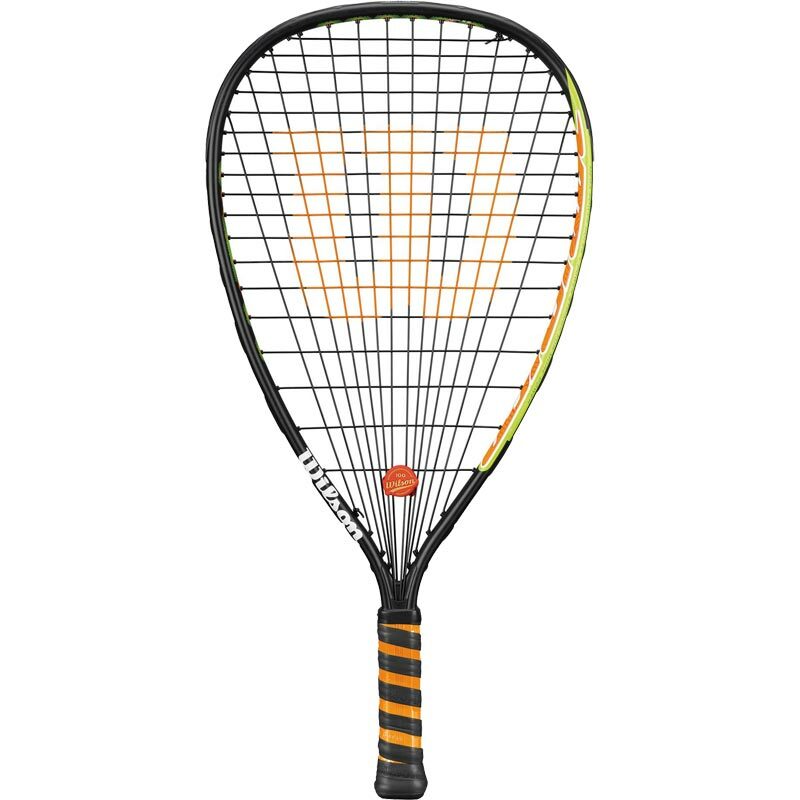 A special vibration dampener is included, featuring an exclusive WILSON 100th anniversary design. Power strings main string technology. Mega power holes for increased string movement and power. Head Size: 107 sq in.